Changes taking effect from January 3rd, 2019. Our apparel range is getting a facelift! In order to maintain consistency across our US- and UK-based suppliers, and to ensure we're offering reliably stocked items, we are making some changes to the colors and sizes available for some of our apparel. Notably, we're dropping support for XS sizes in most of our apparel. Also, in order to better describe these items, some names and descriptions are likely to change, so "T-shirt" may become "Softstyle T-shirt". For full up-to-date details on what our offering will look like from that date, see our products & pricing page. What do Shopify / BigCommerce merchants need to do? 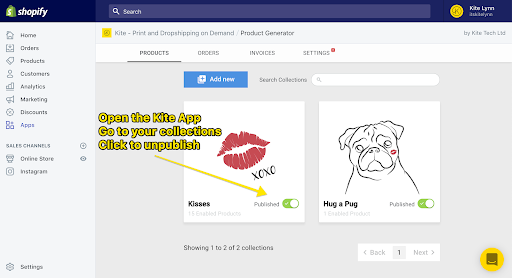 The above changes will only influence what happens when you publish new products to your storefront. It will not retroactively alter any variants already in your store. In the worst case, this could mean a customer being able to purchase an item in a color that is no longer supported. Though we'll do our best to ensure a continuity of service even in this event, there are steps you can take to avoid this situation. 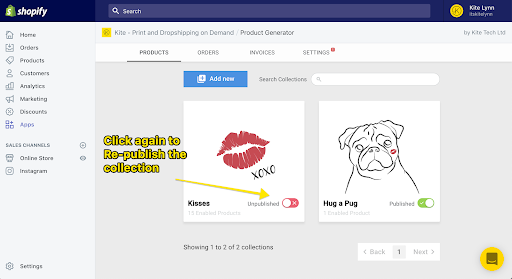 Specifically, if you un-publish / re-publish a product or collection, it will update your storefront to be in line with our new offering.